The IB at Werribee Secondary College is a major pillar of the school’s proud tradition of being globally oriented and internationally minded. The College’s by-line is ‘Wyndham’s International High School’. The College is a certified International School, accredited by the Council of International Schools (CIS) since 2006. Sister school relationships with schools in China, Japan, Singapore, California and Spain results in regular two way interactions for our students and staff. In 2011, Werribee Secondary College became the first ever Victorian Government School to be given permission to offer students the opportunity to undertake the International Baccalaureate Diploma Program. The approval was granted by the Victorian Department of Education after a rigorous assessment. This followed earlier approval and accreditation which was awarded by the International Baccalaureate Organisation. Our first cohort enrolled in the IBDP in 2013. This first group completed their IBDP certificate in 2014 and attained outstanding results. A median ATAR score of 92.8 and a top score of 99.4. Three cohorts have completed their two year IBDP certificates with the fourth finishing in 2017. Their results have continued to be up to the standard set by the first group. Our IB graduates have been admitted into many universities including a number of overseas universities which are traditionally very difficult to gain admission into, (eg. Korean). 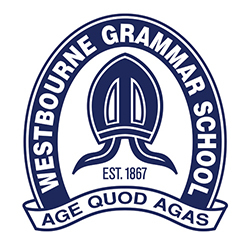 WSC students have the option of enrolling for the IBDP or the VCE for Years 11 and 12. The students who opt for the IBDP have done so because of the opportunity to work at greater depth and to follow their interests, such as with the Extended Essay and CAS, (Creativity, Action and Service). They also select the IB because it provides motivated self-starting learners with a wonderful preparation for successful university study. Our IB graduates from a number of cohorts, regularly return to inspire and inform younger students of these benefits. The IBDP at WSC has gradually become more widely known and now attracts enrolments from students quite distant to the Wyndham area, as well as students from overseas who are coming to live in Australia.